The Consort Stainless Steel and White wall mounted Low Surface Temperature PLSTi fan heaters are very slim and contemporary in design. Being economical to run and splash proof, they make the perfect choice where space saving and efficiency with style are paramount. Ideal for nurseries, hospitals and retirement homes, these low surface temperature, thermostatically controlled, fan heaters provide a high level of safety, controllability and style. Intelligent Fan Control: The fan speed of the heater automatically adjusts relative to the room’s current temperature in order to achieve a warm airflow temperature. 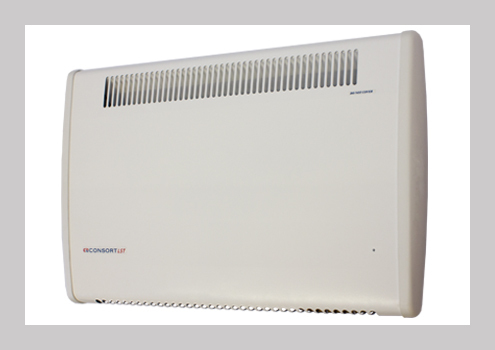 This eliminates the heater from blowing cold air when initially powered on in a cold room.